This oxymoronic idea of a city break is surprisingly achievable. Here are some of the city breaks to book if you want a slice of adventure within easy reach of 5-star comfort and a cold beer at the end of the day. Wilderness fun: skiing. City fun: Tabernacle Choir at Temple Square. Ski season runs from November through to April, and while there are a number of world-class resorts less than an hour’s drive away, there is fun to be had on a number of lesser-known trails and runs within just 3 miles of the city itself. The top to-do in Salt Lake City is a visit to Temple Square, the headquarters of the Mormon community and home to a majestic 19thcentury Temple. Time your visit right and you’ll get to hear the Tabernacle Choir perform in the neo-gothic assembly hall. Salt Lake City in a nutshell! Wilderness fun: scuba diving. City fun: live music. Seattle is known for a pretty decent night-diving scene. The harbour lights in the distance make for a beautiful backdrop, and the diving lights are known to attract harbour seals who want to come to play. Keeping with the evening theme, Seattle is well known for being the birthplace of grunge music, and today it still boasts an impressive music scene. There are plenty of live music venues around the city, which makes having a post-dive beer and boogie easy. Wilderness fun: kayaking. City fun: craft brewery tours. The Potomac River, which starts in the heart of Washington DC, is a veritable theme park for kayakers. It has flatwater, class 2 and 3 white water rafting, slalom sections and falls reserved for only the most adept of paddlers. Back on dry land, you can experience the joys of a different type of liquid altogether – beer! The city has a serious up and coming craft brewing scene, all of which are open to enjoy, or you can get in on one of the local brewery tours and make sure you don’t miss a drop. Wilderness fun: surfing. City fun: Gaslamp Quarter. From August to November, San Diego’s 70 miles of glorious sandy beaches have the best surfing action. Jolla Shores is one of the most popular, a more gentle and safe place to enjoy the autumnal swells. Head to Black Beach if you want something a bit more challenging! 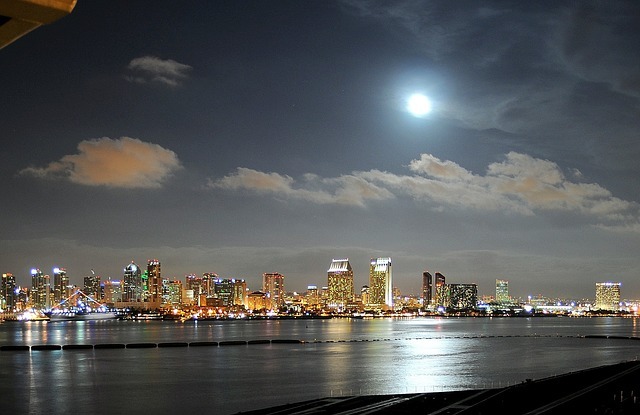 After a day of sun, sand and sea, head to the Gaslamp Quarter, the historic heart of San Diego. The old town has a young vibrant scene, plenty of laid-back bars, clubs and eateries all wrapped up in rich Victorian architecture. Wilderness fun: mountain biking. City fun: dark bars. Arizona is right on the edge of the biggest patch of wilderness in the Southwest, and within that is seemingly endless miles of trails to explore. If you’d like to be back from the middle of nowhere before bedtime, and of course experience the most fun possible on these trails, then go by mountain bike! Residents of Phoenix like to escape the long days of intense sunshine by frequenting places known as Dark Bars. These watering holes have lighting so low that you’ll struggle to see your drink, and the air con so high you may wish you’d packed a jumper. This is exactly what’s needed after a day in the desert! DON’T FORGET YOUR TRAVEL INSURANCE! With worldwideinsure.com you can get a whole heap of activities and sports covered as standard. Get a quick online quote or speak to one of our advisors. This entry was posted in Destination Guide on November 2, 2018 by worldwideinsure.